Mutual fund listings quote prices for different classes of shares. 1. What Are Institutional Class Mutual Funds? 2. What Are C Share Stocks? Mutual funds, which are investment funds that invest in a diversified portfolio that may include stocks, bonds, real estate or commodities, offer a range of opportunities to investors with different goals and different amounts to invest. Some funds issue different types of shares of the same fund, and each share class is aimed at a different type of investor. Some of the more common mutual fund share classes are known as A, B and C.
Class A shares are typically recommended by commissioned mutual fund brokers to individual investors. These shares have a load, or commission fee, that investors pay as soon as they purchase the shares. Investors who purchase large numbers of shares, or who already have shares in other funds offered by the same mutual fund company, may be able to receive discounts on the load. Class A funds also may have a lower 12-b-1 fee than other classes of shares. The 12-b-1 fee is a marketing and distribution fee that is specifically permitted by U.S. government regulations. Class B shares have no load fee. Instead, investors who purchase them pay a fee when they sell their shares. Some mutual funds waive the selling fee for investors who hold the shares for five or six years. Others convert these shares into Class A shares if they are held over the long term. While the absence of a load means the entire purchase price of the shares is invested into the mutual fund rather than a percentage being subtracted up front, this is offset by higher maintenance fees. These fees include a higher 12-b-1 fee as well as higher annual management fees. Some mutual funds offer class C shares with an up-front fee, whereas others offer no-load Class C shares. No-load Class C shares compensate for the lack of an up-front fee with fees due upon sale and 12-b-1 fees. While all fees for Class C shares are lower than those for other classes, they are not waived regardless of the length of time an investor holds his shares. They also are not reduced over time, as may be the case with Class B shares, or for larger purchases, as may be the case with Class A shares. There may also be a fee levied for sale of Class C shares within the first year of purchase. Speak to a financial planner who is not directly affiliated with a mutual fund and discuss your overall goals. Class A and B shares are aimed at long-term investors, whereas Class C shares are for beginning investors who aim for short-term gains and may have less money to invest. Class C shares, especially those with no load, are the least expensive to purchase, but they will incur higher fees in the long term. Carefully calculate the difference between the price of the Class A and Class B shares of a fund you are considering. Find out what discounts you can obtain for Class A shares as well as when and if the sales fee and maintenance fees for Class B shares are reduced or waived before you make your final decision. """A"" Share Class Vs. Institutional Share Class"
What Are T Shares of Mutual Funds? 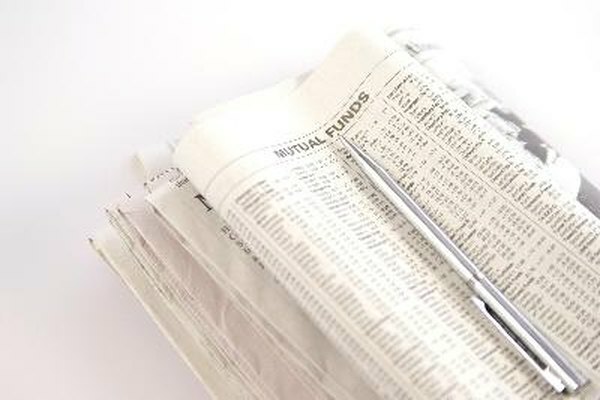 What Are N Class Mutual Fund Shares?